CBYC is a dinghy sailing club. 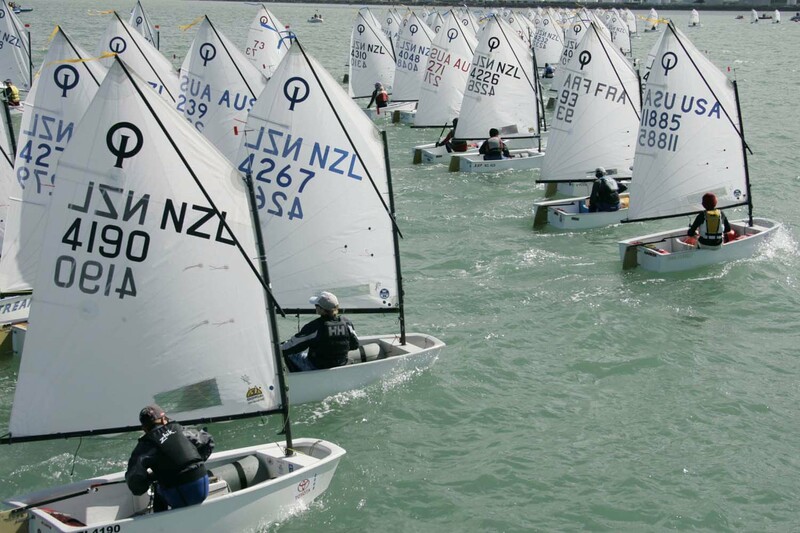 The Club is the home of the Optimist class in New Zealand. Other classes sailed regularly include P class, Starling, Laser, 420 and Flying Fifteens. Children learn to sail in the Optimist and usually progress to the P and Starling classes then onto Lasers and double handed 420s. Adults and teenagers sail Lasers, Flying Fifteens and various other boats such as Hobie Cats. The Club offers learn to sail classes in Optimists and Lasers at either short courses (camps) or after-school programmes. This season Kim Buchanan will return as our Optimist Open Fleet coach and we have the wonderful Noel Pickersgill back with our Learn To Sail kids supported by our youth coaches Ben Baynes, Rupert Limbrick and Fergus Frame. Ali Nightingale will continue with the Adult Learn To Sail groups. The older members, parents and teenagers also volunteer their time. Races are held on Club days usually every second Sunday, tides permitting.